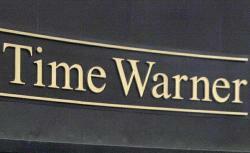 Is Time Warner Cable Asking Employees to Spy on Google? Ahh, the thrilling spy games of giant tech and media companies! Is Time Warner asking its employees to spy on Google’s Kansas City high speed Internet project? Google hopes to provide the city with a 1Gbs network, promising speeds 100 times faster than current broadband access. Will Time Warner learn anything that can help their business? If they’re as terrible at spying as they are as they apparently are at providing cable service, Google should have no problems.